American women who gave up hormone therapy after a study linked the menopause treatment to breast cancer and heart disease also cut back on mammograms, perhaps as a result of fewer doctor visits, researchers said. Mammography rates fell in 2005 for the first time since at least 1987, stumping public health officials who recommend routine use to detect small, easier-to-treat tumors. Use of Pfizer Inc.'s Prempro hormone replacement plummeted after a U.S. government study in 2002 tied it to the potentially deadly side effects, a report in the journal Cancer found. The drops in hormone use and mammograms appear to be related, said lead researcher Nancy Breen, an economist at the National Cancer Institute in Rockville, Maryland. As women went to the doctor less often to renew prescriptions, they had fewer reminders to schedule breast exams, she said. Breast cancer rates also declined after the study results were released and stemmed mainly from lower hormone use, she said. "With the Women's Health Initiative study results finding a connection between hormone therapy and breast cancer incidence, you can see why women would want to stop going to the doctor for that, but they shouldn't stop getting mammograms," Breen said in a telephone interview. The researchers are now concerned that the decrease in mammogram rates might lead to additional and more-advanced tumors being diagnosed later, Breen said. The missed mammograms may account for a small portion of the initial decline seen in breast cancer rates, she said. The researchers evaluated data from the National Health Interview Surveys taken in 2000 and 2005 to compare rates of hormone use and mammography. 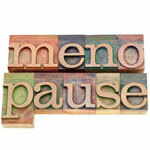 While 41 percent of women aged 50 to 64 reported taking hormones in 2000, the percent dropped to 16 percent by 2005. Mammograms were done within two years for 78 percent of the women in 2000, and 73 percent five years later. The change in mammogram rates among women older than 65 wasn't tied to hormone use, the researchers found. While less than 10 percent of older women used the pills in 2005, down from almost 20 percent five years earlier, there wasn't a similar, significant drop in mammogram rates, the study found. About 6.4 million women ages 50 to 64 stopped taking hormones and 1.2 million missed their mammograms between 2000 and 2005, the researchers estimated. In comparison, 2 million older women, many of whom no longer suffered the menopausal symptoms targeted by treatment, stopped hormone therapy and half a million fewer had mammograms, they said. "Our research corroborates that a doctor's recommendation is an important step in getting a mammogram and it shows that when circumstances change, such as evidence about hormone therapy, it can upset the balance and lead to unanticipated and undesirable changes in mammography use," Breen said.